This website is made for military veterans (anyone ex-forces, any age who has served more than one day) and their friends & families by Veterans in Practice (FACT's veterans art group). 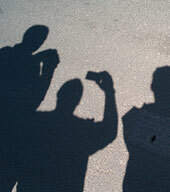 "Set up a Creative Profile"
A creative digital project for military veterans to work with artists during weekly sessions at FACT. 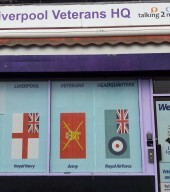 Liverpool Veterans HQ is a one stop shop, providing support for military veterans and for those leaving service. Walking football on the Wirral!